After a city council decided to remove an “offensive” veterans memorial, indignant citizens rallied together to remove something of theirs. As the government grows more powerful, elected officials seem to forget that they are public servants of the people. Soon, their political agenda surfaces as they begin to legislate their own interests, often times against the people’s wishes. 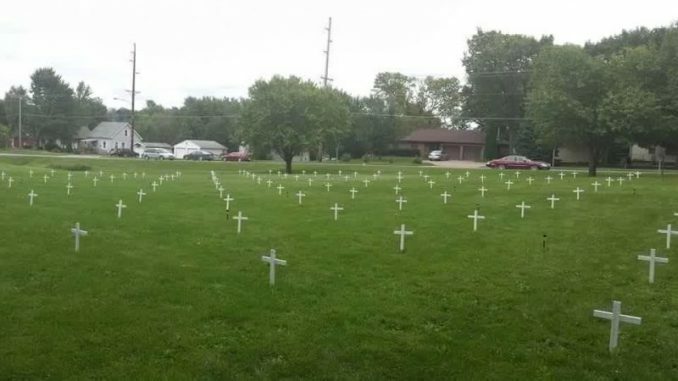 This is exactly what the city council of a small Iowa town started to do when it came to a religious veterans memorial. Unfortunately for the haughty council members, the voters were about to remind them who they work for. For the Knoxville City Council, the first item of business for the week was contemplating a memorial for fallen soldiers, which received one complaint from an offended atheist for its religious connotation. 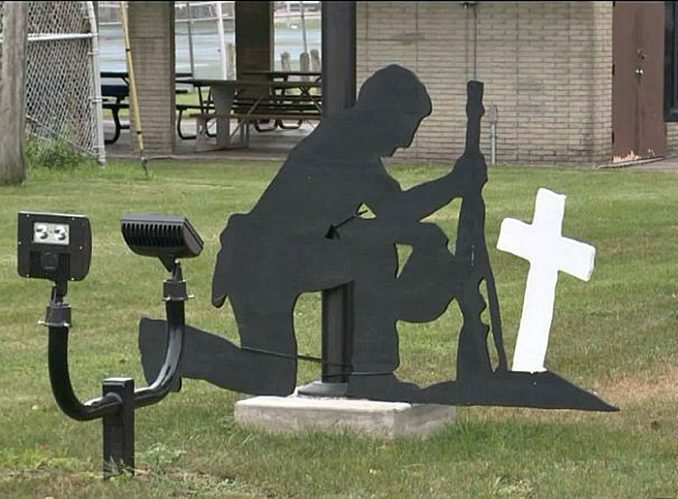 The display featured an armed soldier kneeling at a cross, which merely signified a headstone of a fallen comrade. Taking authority on the issue, the council decided to take a vote on the supposedly controversial memorial. Catering to the very vocal minority, the council voted 3-2 to remove the display, citing the excuse that it must come down if it possibly hurts someone’s feelings. Just 24 hours later, the officials who voted to take down the memorial realized they had made a terrible mistake. According to Breitbart, the day after they chose to remove the veterans memorial, angry citizens rallied together and voted out the three council members who voted in favor of eliminating the display. After ignoring the warnings of the townspeople, April Verwers and Carolyn Formanek were voted out of office, neither of whom received more than 15 percent of the votes, while David Roozeboom chose to forgo re-election, admitting that he knew he would be removed anyway. The citizens of Knoxville weren’t shy in their reason for getting rid of the 3 council members. Incensed townsfolk directly pointed to the officials’ decision to ban the display for its alleged offensive meaning. 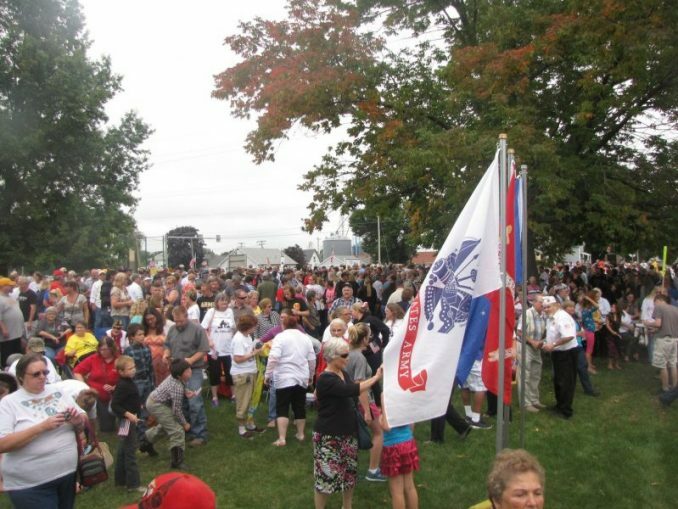 The council had confessed to removing the memorial based on the complaint of a single citizen. 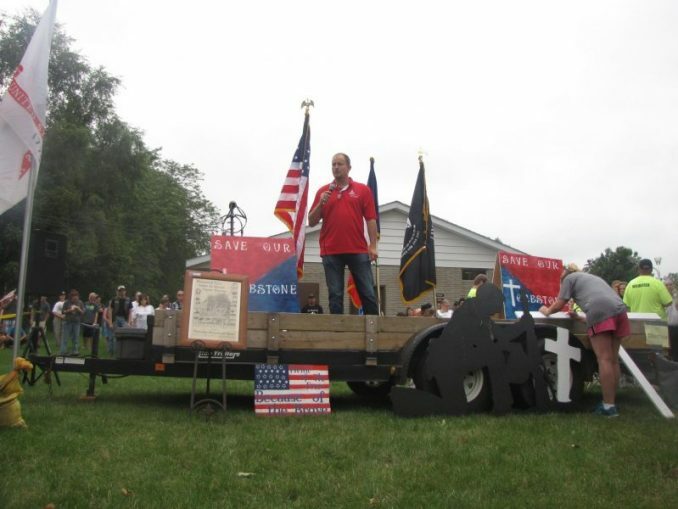 According to the anti-Christian group Americans United for Separation of Church and State, the city must remove the display in Young Park or face possible legal action. Sadly, the city succumbed to the individual’s threat, refusing to risk a lengthy and costly court battle. However, the citizens weren’t about to let the threat take away their rights to endorse such a monument. Many expressed that the city should not kowtow to the minority over the majority. Resident Doug Goff was ecstatic over Tuesday’s turnout. 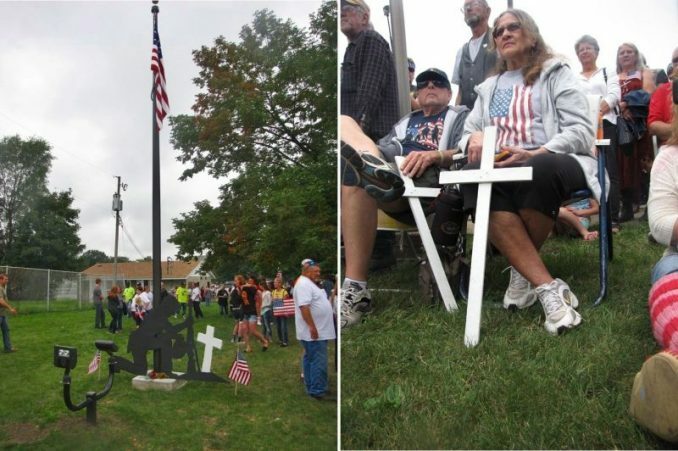 In addition to voting out the defiant council members, the town gathered to erect 2,000 small white crosses, which were placed in yards to defend the memorial and its support for U.S. veterans. Residents also gathered by the hundreds to show their defiance during a rally in favor of a permanent monument in the park. The citizens kept their vow to take action, showing the country how it should deal with elected officials who no longer represent the will of the people. Incredibly, they managed to unite for a common purpose. Of course, the residents also proved that they will not be overrun by the minority, no matter how vocal or aggressive they become. Surely the city’s new council members have taken note of this and will legislate accordingly.